Crystal Smith is a speech-language pathologist in West Columbia, SC. Practice Type: • Self-Employed Practice Areas: • Speech Language Pathology • Speech Therapy Take the next step and contact Crystal Smith for a consultation in West Columbia, SC or to get more information. Ronald Kuebler is a speech-language pathologist in Columbia, SC. 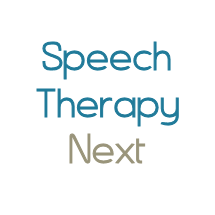 Practice Type: • Office Practice Areas: • Speech Language Pathology • Speech Therapy Take the next step and contact Ronald Kuebler for a consultation in Columbia, SC or to get more information. Nancy Price is a speech-language pathologist in Columbia, SC. Practice Type: • Office Practice Areas: • Speech Language Pathology • Accent Modification Take the next step and contact Nancy Price for a consultation in Columbia, SC or to get more information. Shanita Shaw is a speech-language pathologist in Orangeburg, SC. Practice Type: • Home Health Agency - Client's Home Practice Areas: • Speech Language Pathology • Speech Therapy Take the next step and contact Shanita Shaw for a consultation in Orangeburg, SC or to get more information.